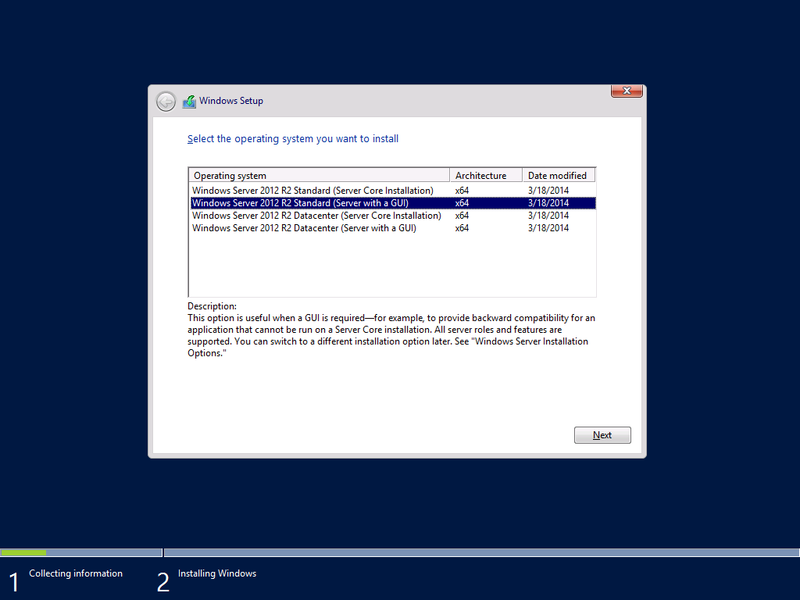 I am not sure how many of you have tried adding the Convenience Rollup (KB3125574) to a Windows 7 SP1 image from a stock SP1 ISO, but I’ve just had the experience of trying to take an SP1 WIM without any updates to fully patched, including the rollup, as part of a deployment. While there may be multiple ways to achieve this, I tried a few approaches and ended up settling on this particular approach which was repeatable (paths below are the ones I used – obviously substitute for your own). Running different distributions of Linux or variants of BSD on Hyper-V has gotten a lot easier than it was even 2-3 years ago, but there are still considerations one should take when building VMs or VM templates for deployment in Hyper-V (or Azure), and my distribution of choice for a very long time has been Debian stable. While it might not have the feature set that Ubuntu has running on Hyper-V or Azure, I prefer it partly because it’s comfortable to me, and partly because I tend to agree with the Debian creedo. This will likely work for most distributions out there (Ubuntu included), but since Ubuntu gets all the love on Hyper-V and Azure, I figured I’d do a post around how to get the best performance out of your Debian installations on Hyper-V. At the time of this writing, the current stable release is 8.3 (Jesse), so that’s what you’re going to see here. Note that this is based on the “best practices” documentation currently found here. I apologize for the horrible picture, but I couldn’t take a snapshot during the upgrade from my physical box. Guess the Windows folks don’t bother testing the upgrade process with the taskbar in a non-standard location, eh? Nothing to worry about, as the upgrade went fine. Was a little odd to see, though. 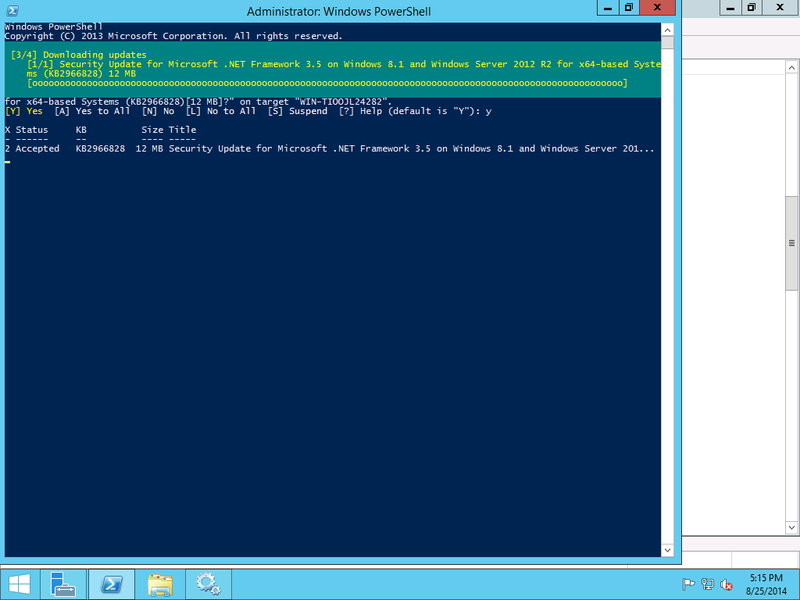 I’ve published the Windows 10 VDI script to github – grab it and take it for a spin! I’ve run into this with increasing frequency in my Server 2012R2 clusters, and it ended up being WMI corruption. IPConfig would show correct IP addressing (and even the teamed NICs created with Windows teaming), and ping would work; however, the network connections dialog box (ncpa.cpl) was completely empty, Server Manager said teaming was disabled, launching the teaming administration page (lbfoadmin.exe) would show “Host Unmanageable” as the status, and attempting to make any connection to any other machine other than ping would result in failure (for example, \\server\share would fail immediately with the host being unavailable). Ever had a machine where WMI stopped working properly and needed to be rebuilt? Was it running something that does high volumes of WMI calls (like System Center agents, or Tivoli, or HP OpenView (to name a few regular problem children – I’m sure you can think of more)? Here’s a PS script I run to increase memory per WMI process (and globally across the machine) available to WMI, as well as modifying it in the boot order (if you rely on RSOP, WMI’s default configuration means it’s possible it won’t be completely loaded properly when Group Policy runs, and can cause RSOP issues, amongst other things). I’ve gotten an elevated number of requests recently on “how do I disable IPv6” or “what’s the best way to configure IPv6 in my environment”. I’m not entirely certain of why I’ve gotten so many recently, and I’m not sure if it’s a coincidence or if there’s more to it. However, what I’ve found is that most IT departments I’ve come across over the years simply go and set IPv6 to completely disabled via setting the disabledcomponents registry value to 0xffffffff. While this does indeed disable IPv6 entirely, I have to warn everyone I come across with this set that Microsoft doesn’t test this setting at all, and support for resolving issues with this set have usually resorted to setting disabledcomponents back to 0x0 and retesting, where things magically work, and that’s the extent of what is done for obvious reasons. This can (and sometimes does) also break functionality in Windows, and the one that most customers eventually run across is DirectAccess (with Remote Assistance in second). 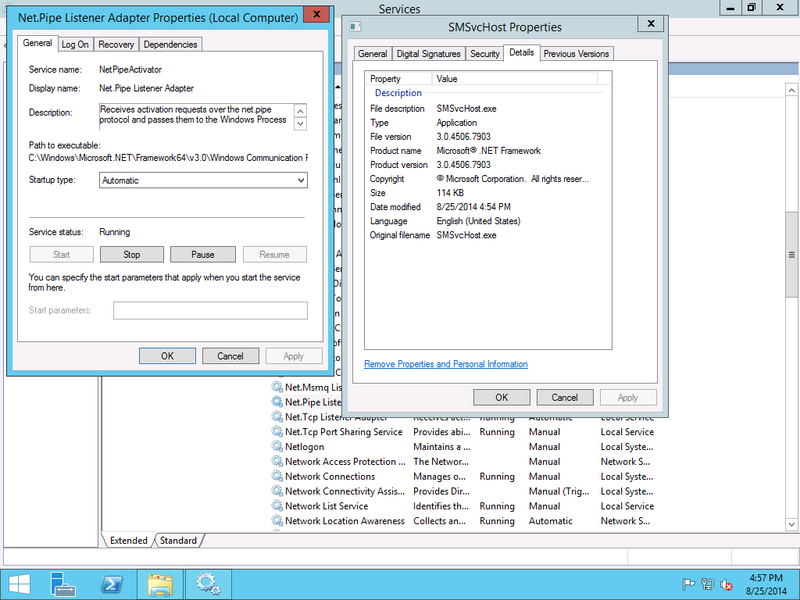 KB2966828 breaks Net.Pipe listener adapter service and more! 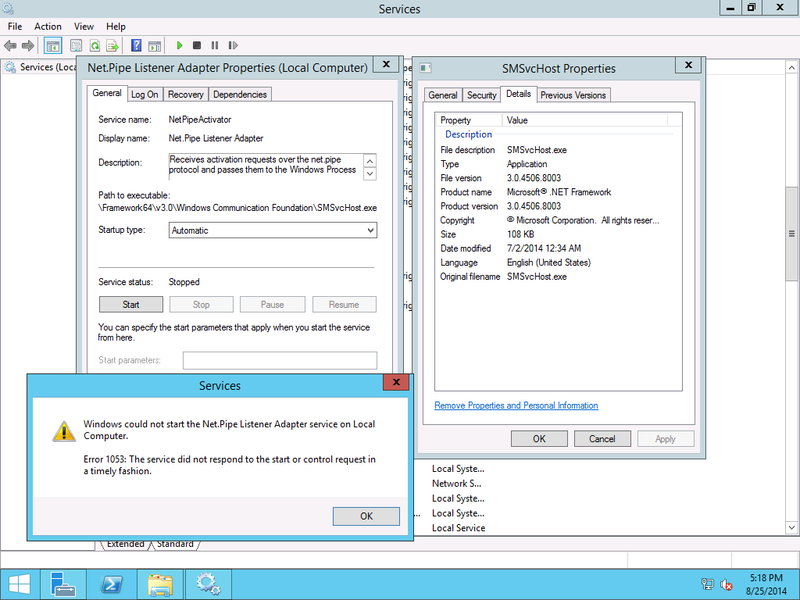 NOTE – This has been fixed with the MS14-053 update. 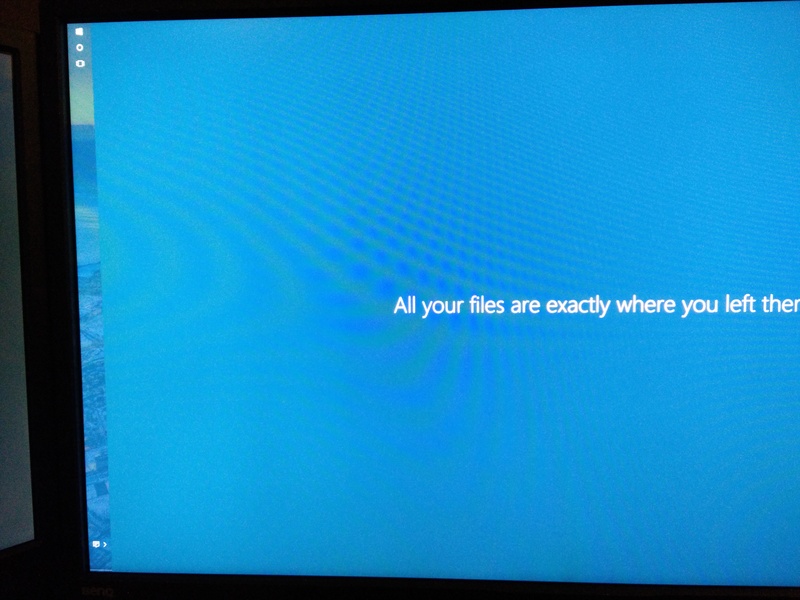 Adding that will allow things to work again, until the problem is fixed by Microsoft at some point.